Irony Curtain is getting a forum! In our efforts to combat the capitalist propaganda, we have launched the most powerful weapon against false information! Add Irony Curtain to wishlist now! 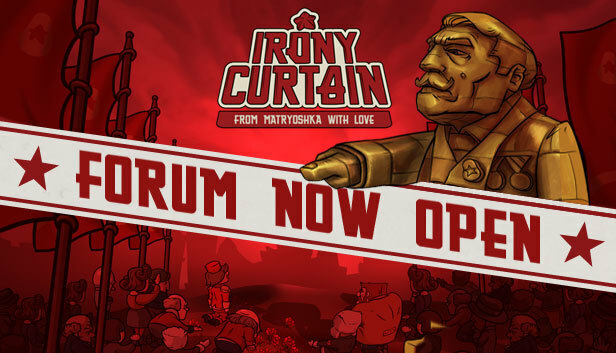 We now have our own Steam forums, where we will post all information about Irony Curtain: From Matryoshka with Love and where you can discuss all ideas as long as they’re in accordance with the ideology of the Party. No censorship. Add Irony Curtain: From Matryoshka with Love to your wishlist!